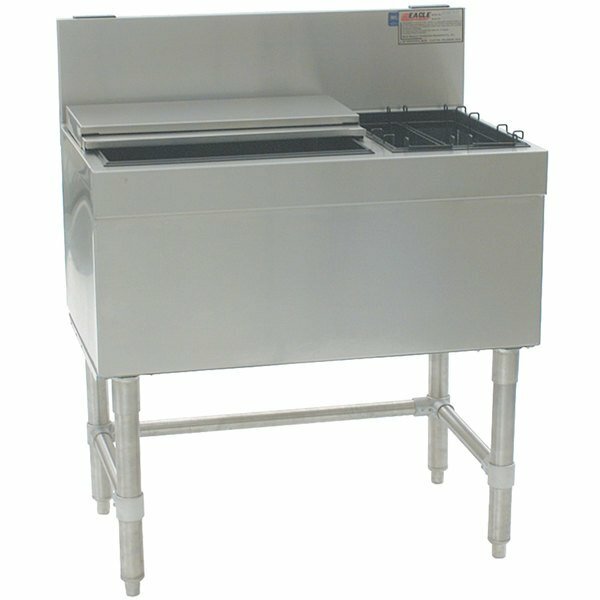 Serve drinks more efficiently with this Eagle Group BCT60-24 Spec-Bar Combination underbar stainless steel ice chest! Featuring an ice bin with foamed-in-place insulation and 2 bottle racks, this 3 compartment ice chest is a versatile option for serving cold, refreshing drinks. The main bin holds ice for sodas, waters, and mixed drinks, while each bottle rack can hold up to 8 bottles of your most popular beverage. The unit's 10 1/2" deep bin can hold up to 127 lb. of ice, effectively cutting down on the number of times it will need refilled. 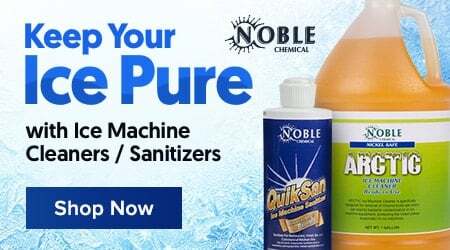 This ice chest comes with a two-piece stainless steel cover that slides back for easy scooping access, and it can be removed when dumping in fresh ice. The non-metallic breaker strip works with the insulation to prevent unwanted heat transfer to provide colder, longer-lasting ice. For durability and easy maintenance, this ice chest is made of 304 stainless steel, and it comes with (4) 1 5/8" diameter legs that feature cross braces and adjustable castings for added stability. Also, a 1 1/2" drain tailpiece is included so ice melt doesn't sit in the bottom of the bin.